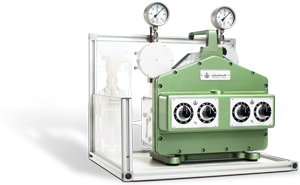 Prepare calibration gases on your own with the Wösthoff gas mixing systems. The volumetric principle is particularly suitable for the flexible manufacturing of calibration gases, since it is an absolute procedure that is independent of the gases mixed. 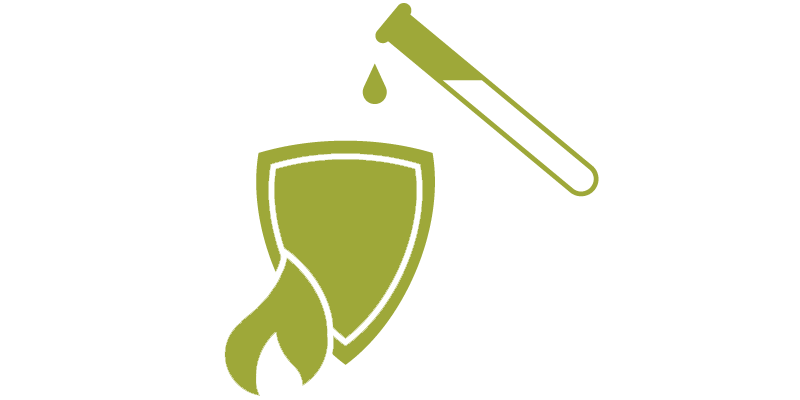 Based on two to four pure parent gases, you can trace calibration curves with any setpoint from 100 ppm to 100%. After pre-dilution, contents of up to 1ppb can be achieved from pure gases. Mixtures dynamically prepared by a Wösthoff mixing pump are 100% stable and available where and when required. The core parts of any gas mixing system are the cylinders and pistons of the pump. The piston pumps forward and dose the input gases. Whereas at ambient pressure and constant temperature well defined gas portions are forwarded with each stroke. Depending on the pump type, the mixing gases are forwarded simultaneously with multiple piston pumps operated in parallel or in alternating sequences via the same piston pump. The composition of the calibration gases is only determined by stroke volume and stroke rate of the piston pumps. It is always independent of the gases to be mixed. Downstream the pump, the gas components are homogenized in specially designed mixing vessels, to deliver a homogenous mixture for analysis. The construction of the pumps and the use of selected materials allow the mixing and forwarding of any type of gas. Corrosive and combustible gases as well as easily flammable mixtures are no problem for the pumps. Piston and cylinder are protected by a special oxide ceramic coating against mechanical wear and corrosion. The robust design of the pumps provides long-term stability and drift-free functioning. DIGAMIX gas mixing pumps are designed for the preparation of two to four (for special applications, up to six) components. The pumps are a constant reference source with individually selected contents for each component. An optional diagnostic interface determines the stroke rate of the piston pumps and provides these data to a computer for the calculation of the calibration gas composition. The gases produced by the volumetric principle for the preparation of gas mixtures are directly traceable to SI units. 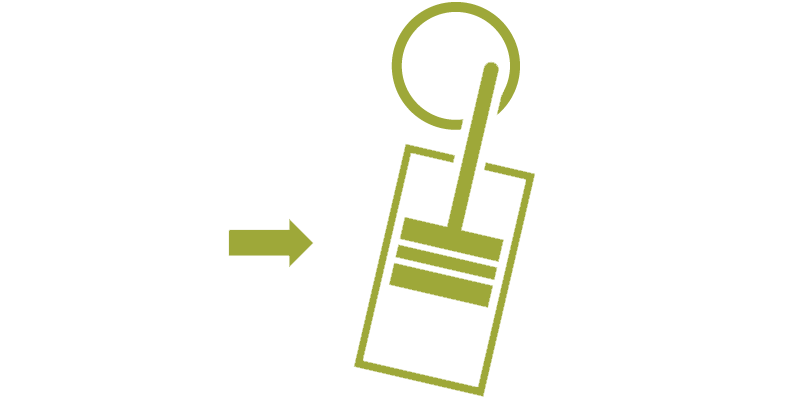 The traceability can be certified by means of individual calibration certificates from DAkkS-accredited partner laboratories. The DIGAMIX mixing pumps function with parallel-operated piston pumps with different cylinder volumes. All piston pumps of a DIGAMIX are actuated by one common electric motor. A mechanic switch gear controls the stroke rate and therefore the proportion of the gas portions. The number of strokes of each single piston pump is adjusted in ten linear steps. After flowing through the piston pumps the gases are forwarded to a mixing vessel for homogenization. The volumetric principle for the preparation of gas mixtures is described in national and international standards (see DIN EN ISO 51 898 and ISO 6145-2). Thus, the prepared gas mixture are directly traceable to SI units. 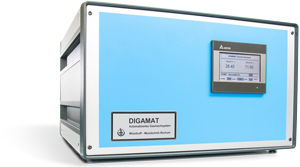 The automated and computer-controlled gas mixing system DIGAMAT produces calibration gas mixtures of your choice from two parent gases. The system is directly operated via a touchscreen. Alternatively, the system can be computer controlled via an integrated interface. Calibration curves with any setpoints can be programmed and traced automatically. 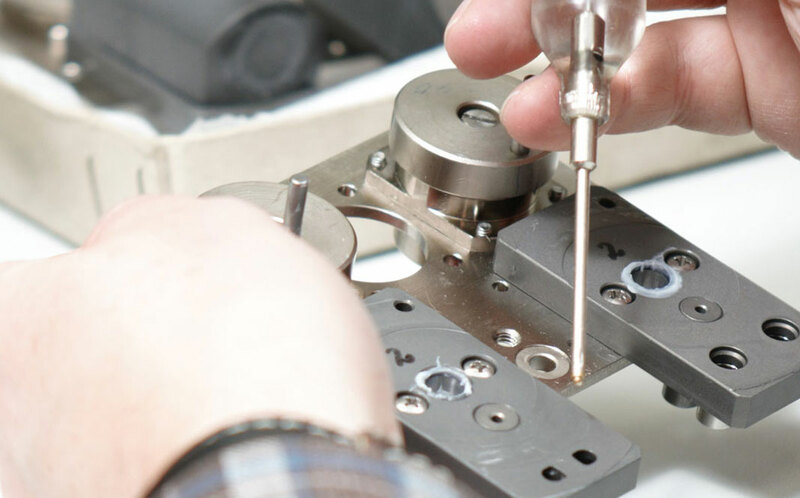 This allows for the automated calibration of your analyzing instruments. The 19″ housing protects the built-in mechanical and electronic components and allows the easy transport of the system to different sites for gas preparation. The gases prepared by the volumetric principle for the preparation of gas mixtures are directly traceable to SI units. 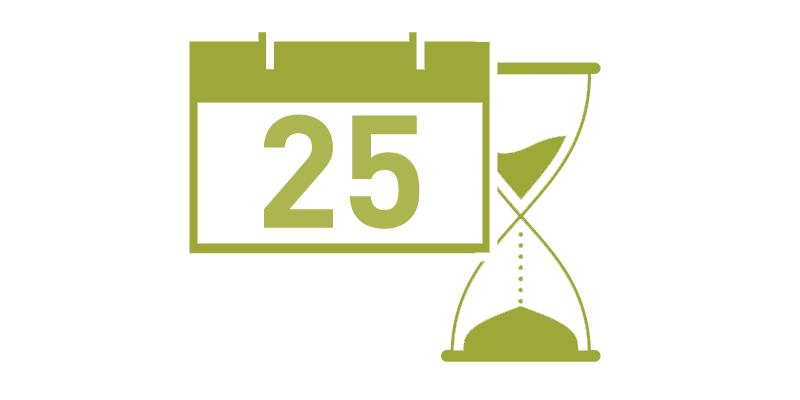 The traceability can be certified by means of individual calibration certificates from DAkkS-accredited partner laboratories. The DIGAMAT mixing system is based on one single piston pump fed sequentially with different parent gases. Via solenoid valves at the gas inlets of the system a central control unit opens alternatingly the gas feed lines of both input gases. Switching of the solenoids during the forwarding cycle of the piston pump guarantees the separation of the input gases. The gas flow portions are thus precisely assigned to the respective stroke number. The composition of the mixed calibration gases is a function of the stroke rates, according to which the flow of both gases is determined. After flowing through the piston pumps the gases are jointly forwarded to a mixing vessel and homogenized before they are ready for us.